Nothing thrills a writer/editor more than the joy of finally being able to see a finished book that you have had in the works for many months. I am delighted to announce that Reference Renaissance: Current and Future Trends is now available from Neal-Schuman! I had the privilege of working with co-editor Dave Lankes of Syracuse University on the book which captures the latest in the work of researchers and practitioners, updated from their presentations at the first (hugely successful!) Reference Renaissance Conference. Dave is the creative, intellectual, and dynamic force behind the ground-breaking Virtual Reference Desk conferences and books which have provided inspiration and models for the Reference Renaissance events and publications. Anyone interested in the latest buzz should take a look at this book which features current research in reference, including virtual services like IM and live chat, innovative service models, and philosophical approaches. In addition, numerous “reports from the field” chronicle innovative service models, virtual reference successes, marketing, initiatives in staff development and training, and using search engines and other virtual tools. 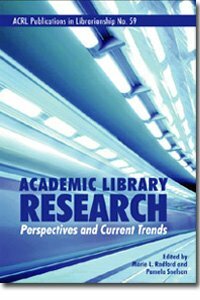 I have authored a chapter with Lynn Silipigni Connaway of OCLC called: “Getting Better All the Time: Improving Communication and Accuracy in Virtual Reference” that features results and recommendations from our Seeking Synchronicity IMLS, Rutgers, and OCLC, Inc. grant project. Here’s a sneaky – peek from our chapter… The top tip for boosting accuracy when you are providing live chat VR is the following: when asked for specific information, before you push a Web site or URL, check to make sure it contains the precise information requested by the user, not just a general overview of the topic. We found this simple verification step would have increased accuracy from 78% to90% for ready reference questions. The book also contains the provocative keynote “Reference in the Age of Wikipedia, or Not…” by David W. Lewis, Dean of the IUPUI University Library, as well as the remarks from the plenary panel on “Theory Meets Practice: Educators and Directors Talk” featuring Dave Lankes and myself (the educators) as well as Jamie LaRue, Director of the Douglas County Libraries, CO and Carla J. Stoffle Dean of the University of Arizona Libraries (the directors). To heighten our excitement, this book’s publication comes as we are dead smack in the middle of planning for the second Ref Ren conference: Reference Renaissance 2010: Inventing the Future which will be held from August 8-10, 2010 in Denver, CO. I am again honored to be co-chair of the conference program, this time working with co-chair Rivkah Sass of Sacramento Public Library, and Justine Schaffer of BCR, who is the overall conference chair. The Call for Participation is out and we are upping our game, inviting a greater diversity of submissions in innovative as well as traditional formats. We seek papers, panels, reports from the field, workshops, and Pecha Kucha proposals to do with forward-looking initiatives and strategies in all types of reference service and from a variety of library environments. April 1st is the deadline, and I encourage all LG readers to think about submitting a proposal and planning to join us in Denver! I write today from Harrisburg, PA, site of the REFolution Conference: Reference Service in a Constantly Changing World sponsored by Lyrasis (formed by the recent merger of PALINET/SOLINET). I just love the name and spirit of this conference, and was honored to deliver the keynote speech on the future of reference this afternoon to an audience of about 200 reference enthusiasts. I am delighted to announce (as a Library Garden scoop, I might add) that a team of faculty and students at Rutgers have just launched the long awaited, highly anticipated Virtual Reference Bibliography designed to be used by librarians, students, scholars, and others who are interested in publications dealing with all aspects of virtual reference. 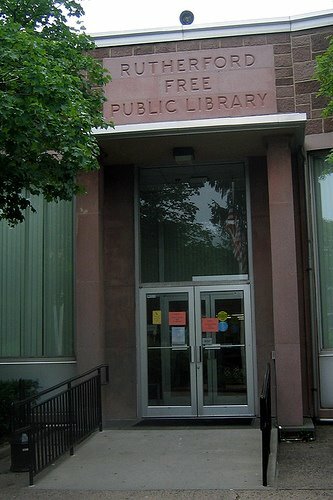 Hosted by Rutgers University’s SCILS, this site is a continuation of the digital reference services bibliography maintained from 2000 to 2004 by Bernie Sloan. It now contains 700+ entries from Bernie’s original bibliography, plus 200+ new items published from 2004 to the present. The redesigned site and new search interface was created by Ben Bakelaar of Rutgers as part of a final project for Information Design class, taught by Jacek Gwizdka, Ph.D.
I’d like to thank Ben, Jacek, and Bernie for their creative input and design expertise. I would also like to thank SCILS alums Andrea Simzak and Gillian Newton, and current student Jeff Teichmann for their competent and enthusiastic assistance in hours of verification and data input. I am also indebted to Andy Mudrak, IT Systems Administrator and Assistant Dean Jon Oliver for technical support. This resource is designed to be an ongoing work in progress. We welcome your input to keep it current and accurate. Please leave a comment at the VR Bibliography website if you want to add a citation, to correct a mistake, or wish to make a suggestion. Do take a look and let us know how you like it!